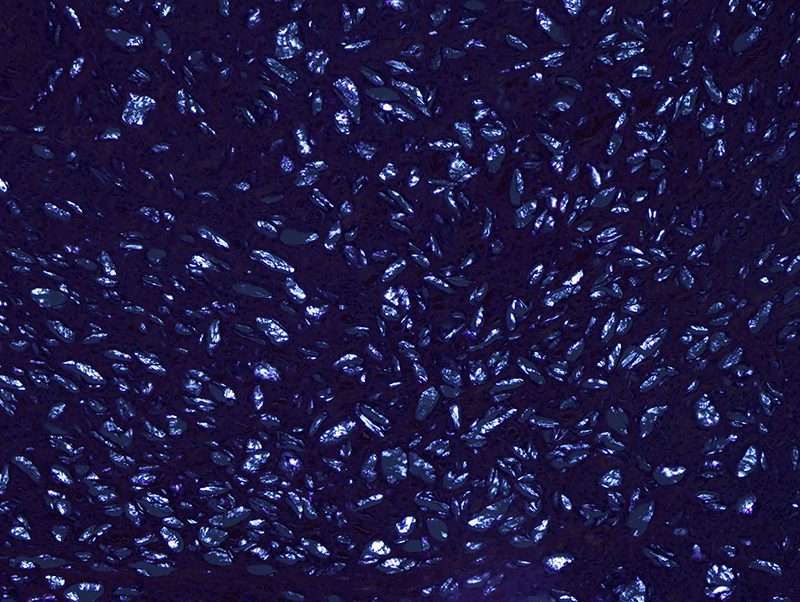 Poly-lactic acid is sometimes used as a dermal filler. 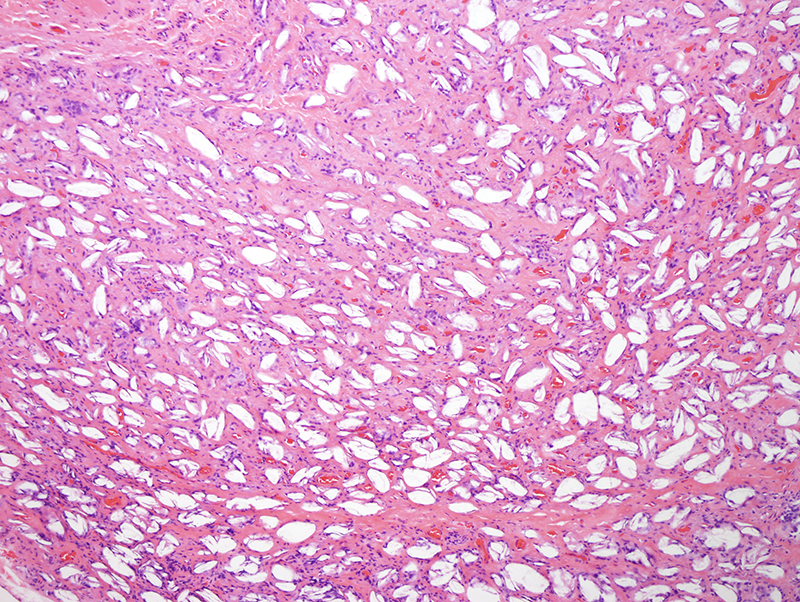 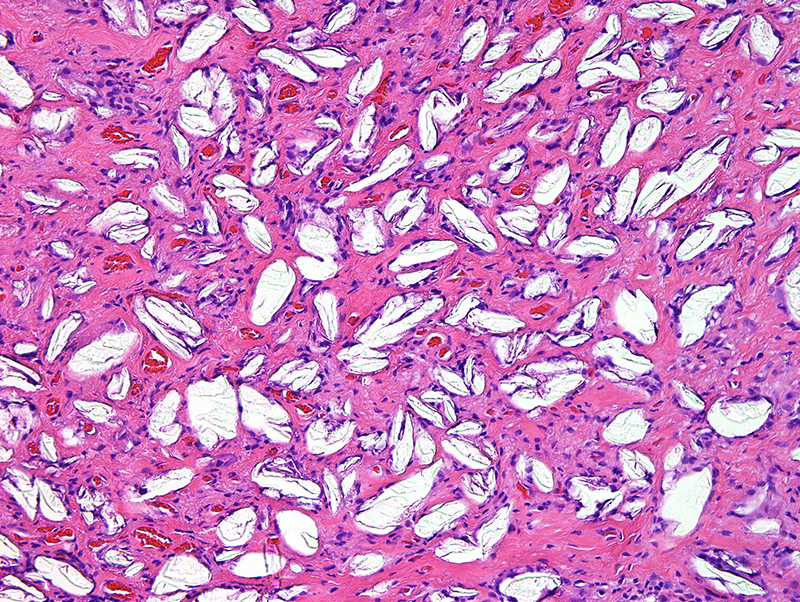 The lesion presented in this case is that of a reaction to exogenous material. 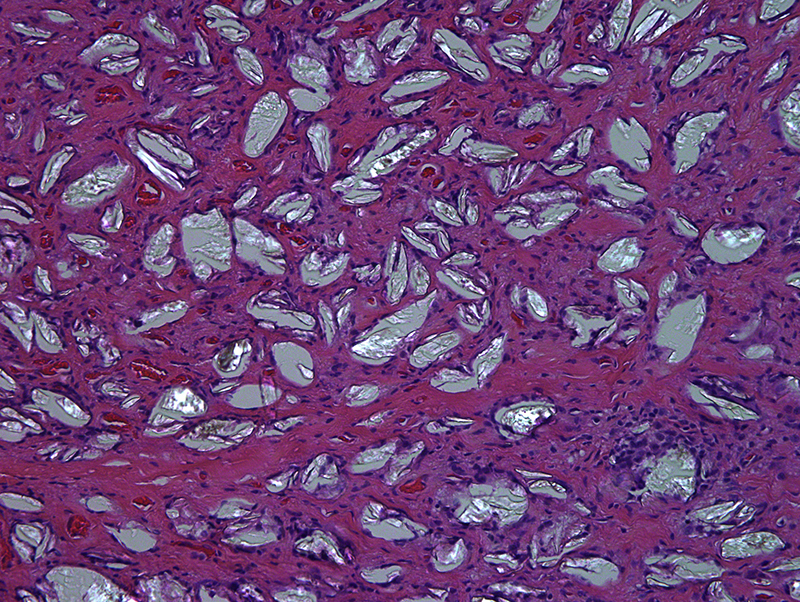 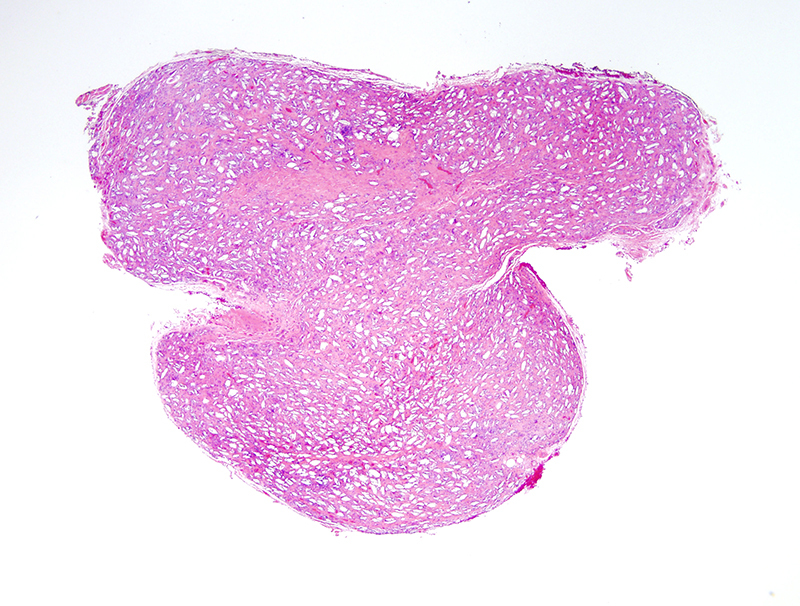 While the histology is suggestive of poly-lactic acid, clinico-pathologic correlation is needed for confirmation.